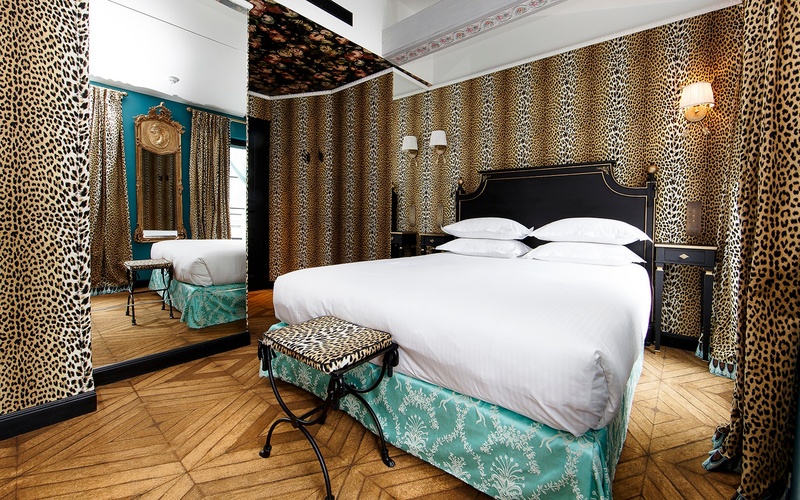 Joséphine Bonaparte’s fantasized alter ego, JoBo, is the inspiration behind the hotel décor and in today’s world of celebrity magazines and social media, Joséphine Bonaparte would probably be known as JoBo. Who would do a better job representing French elegance with charming frivolity than the contemporary version of Joséphine Bonaparte? 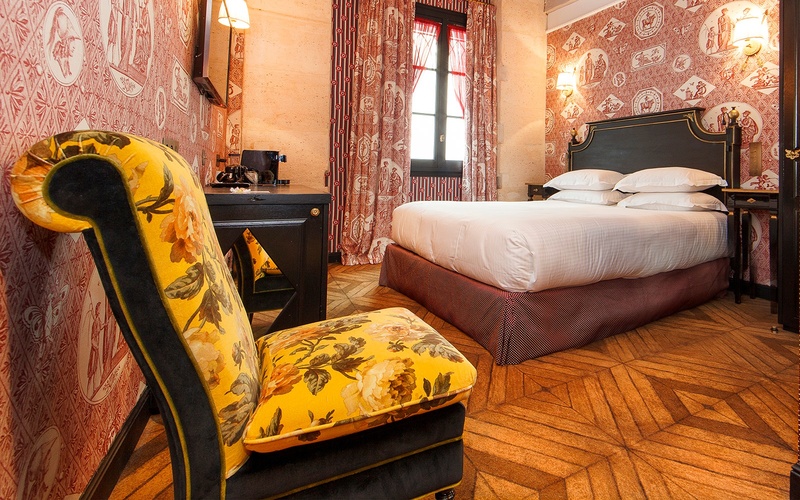 The interior design of the 4-star hotel, which was built on the remains of a 17th-century convent and, somewhat ironically, faces the Hôtel de Chavigny, which Napoleon transformed into a fire station, was entrusted to Bambi Sloan. JoBo is the muse and the thread that runs through the decoration, rethought and shaken up with a good dose of humour. 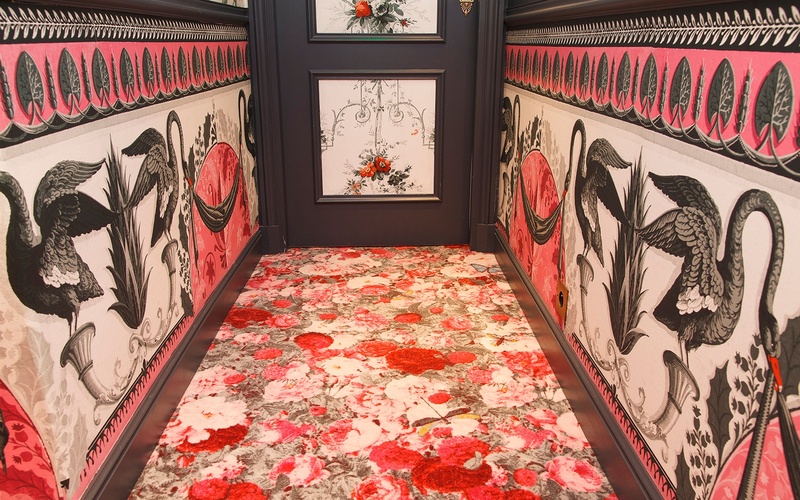 Sloan blurs the lines in an eruption of roses, every possible tone of pink, lozenge-shaped motifs, arrows and marquetry of the period. The tone is set from the moment you pass through the carriage entrance. The Napoleonic-style tent is entirely designed to evoke Joséphine the lover rather than the battlefields of her husband. It welcomes the visitor beneath a shower of roses originally painted by Redouté in the rose-garden at Malmaison. 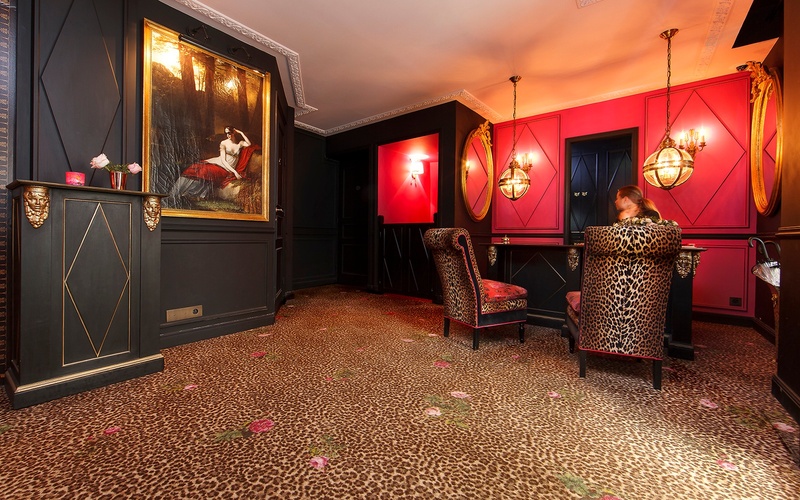 All carpets are custom designed by Sloan for the Hôtel de JoBo: leopard-patterned carpets sprinkled with roses for the bar, lounges and reception, a bed of roses for the corridors and finally trompe l'oeil marquetry parquet for the rooms. 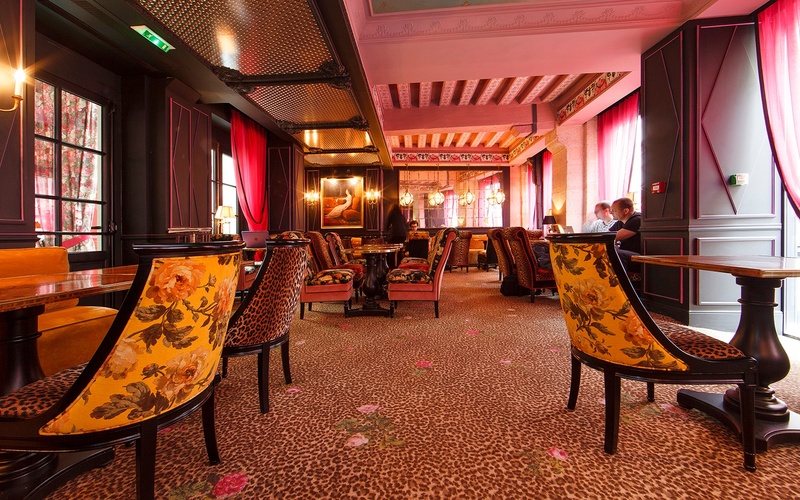 Sloan decorated all the exposed beams as would befit Joséphine, and reinterprets century old wall paper prints discovered in museums to dress the walls and sometimes even the ceilings with roses, birds and black swans, like those on the lake at Malmaison.